Wedding bands have traditionally been yellow gold comfort fit but with so many new metals and textures, the choices are endless. 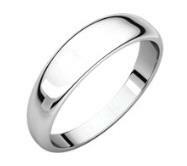 If you so desire, the couple can match their style of wedding bands with just a slight variation in thickness. From yellow, white or rose gold to tungsten, ceramic, stainless steel, titanium and cobalt there is just so much to choose from. 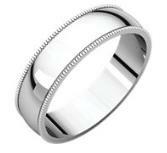 To add to the choice of wedding bands you will need to decide what texture you would like. Whether it’s brushed, engraved, smooth, shiny, beveled or two tone, we at Andrews Jewelry Store in Centennial, Colorado will have all the answers. Once you have decided on the choice of metal and color you will have to decide what type of shape and finish you would prefer. There is the classic smooth, shiny finish, the hammer finish or the milgrain on the edges. The shape can vary from half round tapered, half round with edge, or half round. These choices also come in light or heavy weight. So, as you can see, we can accomodate practically any design you and your partner desire. Our jewelry store is a treasure trove of vintage jewelry, necklaces, bracelets of all shapes, colored gemstones, earrings and a vast choice of loose diamonds. We at Andrews Jewelry Store are known for our beautiful collection of opals, sapphires, and colored diamonds. 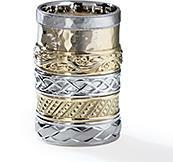 We also have a huge collection of turquoise and silver bracelets, necklaces and rings. Our gemologist, Bill has a 30 year background in designing some of the most unusual engagement and wedding rings and is also talented in redesigning pieces of jewelry. Please feel free to contact us if you have any questions and need assistance we would welcome meeting with you.